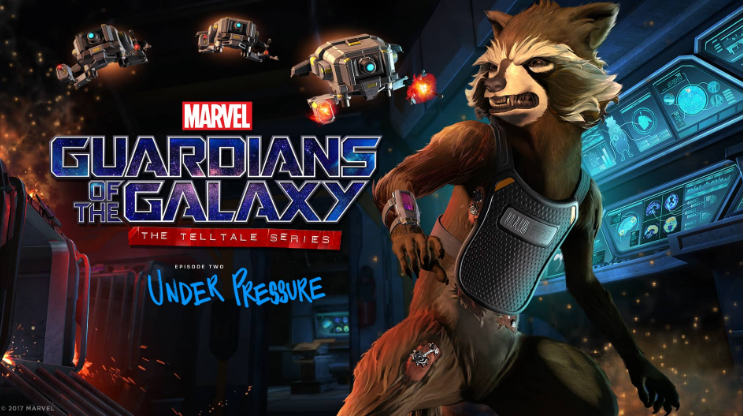 Telltale‘s partnership with Marvel has made for a fun, funny, and emotional adventure in the first episode of its Guardians Of The Galaxy based series. And now we have news about our second episode, “Under Pressure“. In “Under Pressure,” the Guardians just can’t seem to outrun the past (or their tab), but if they figure out how to control the untold power of their mysterious new relic, they might not have to. With help from dubious old friends and unwilling new allies, Star-Lord and company scour the galaxy for answers. But how long can they elude the genocidal maniac hunting them? And will simmering tensions finally tear the team apart? Episode 2, “Under Pressure”, will be on PS4, Xbox One, PC, Mac, Android devices and ios devices June 6th.